It’s rainy season alright but it always feels like summer. Such is the weather here in Manila. I’ve always loved the rain because it rained during our wedding. Haha! Since then, I see rain as a symbol of blessing. When we found out we were pregnant for the first time, it was raining. During my dad’s funeral, it also rained. This year, I am particularly excited for this season because I got myself pairs of boots. Plural. I wasn’t satisfied with one so I got another pair earlier this month. 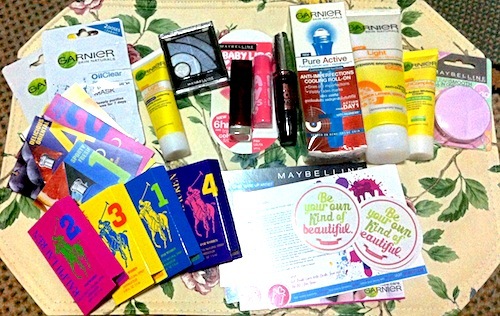 The May BDJ Box finally arrived last Sunday, Mother’s Day. Box is smaller than I imagined. I think an iPad Mini could fit inside. UPDATE: Someone commented that I’m stupid for saying ‘Preview’ not MEGA. Oo nga naman. Patawad. Haha. It’s been more than a month since I last posted here. Life happened. Yet again. Haha. Christmas Rush has extended until this month. It’s February and I still feel stressed. Stressed but in a very good way. It’s Thailand’s SM MOA. It’s the biggest mall in Bangkok today. 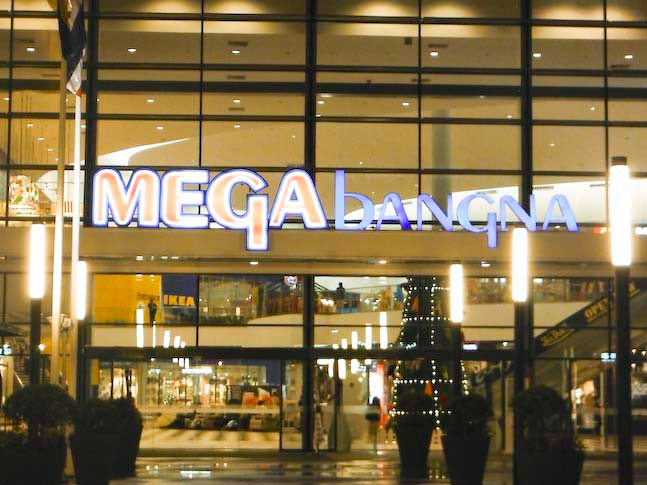 I was there during the week it first opened back in May 2012. Last November, I finally got to bring my husband and son together with my mom. First stop was IKEA for lunch and some shopping. I bought a lot of stuff at IKEA for home and other people but nothing for me. 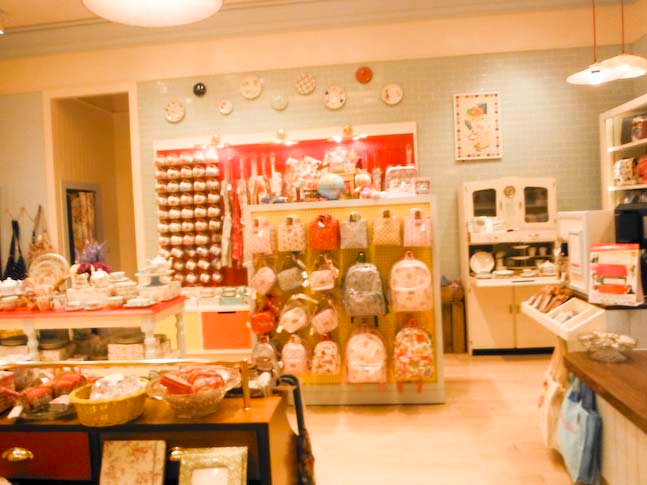 I visited another Cath Kidston store and I was overwhelmed with the items but mostly with the price. Hehe. I didn’t buy anything because by the time I got to the store, I was already feeling guilty spending about 4,000 Baht (around P6,000) in IKEA alone. I had to stop myself from grabbing something and bringing out my credit card. Husband was with me so I was too careful. Haha! I’m a sucker for genuine leather goods. I’m addicted to the smell so I as much as possible I choose to buy bags with real leather. I had the Cambridge Satchel which my husband hated so I sold it for an even higher price. (Ha!) I have a couple of Rabeanco bags which I so love. Locally, I adore Our Tribe and Fino Leatherware for their leather goods. I just love going inside their stores because of the smell. My husband finds it weird but I know some of you will understand. 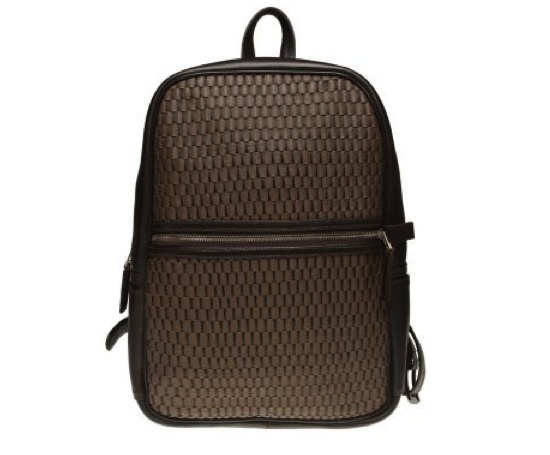 I’m thinking of buying this one because I’ve been searching for a really nice leather backpack for myself and as an alternative to Noah’s diaper bag. It’s a bit pricey for a backpack but I know this will last me a lifetime. I’m still on a shopping diet but I haven’t gotten myself a present for our 5th Wedding Anniversary. (Haha!) It’s cheaper than the bag husband wants me to buy for him so I think I’ll wait until he comes back. Carabao Crafts is a new brand by Carlo Garcia. 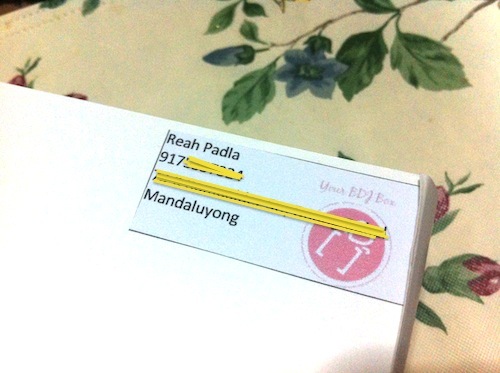 He comes from a clan of shoemakers in Marikina. He’s the grandson of Vicente Samson (owner of OTTO, ITTI, Cardam’s, and Caterpillar). Having studied shoe and bag design from Ars Sutoria Milanofrom, Carlo Garcia hopes to continue the Samson family’s legacy by starting his own line. 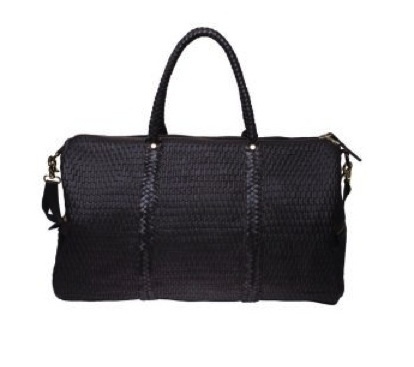 His creations are elegant and more durable because they are made from materials combining recycled airplane tires, abaca, coconut fibers, and carabao leather. I’m glad that young fashion designers like Garcia chose to use Philippines’ very own. 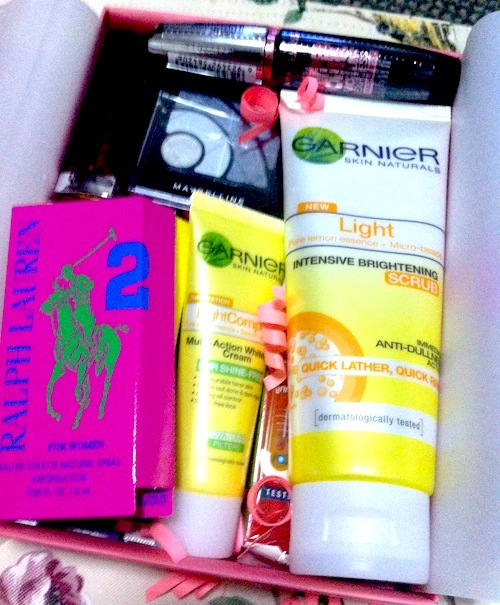 I hope more people will support such products. 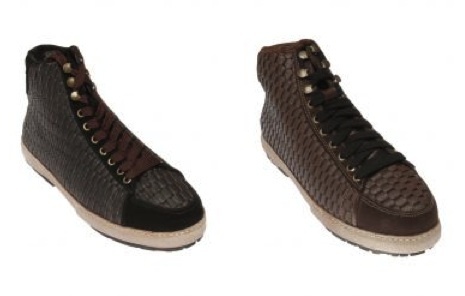 Enough of synthetic leather please. They won’t last long. Buy real leather to get your money’s worth. I used to be interested in fashion and style but I knew how I could get obsessed with it and how I might lose myself. Ever since I became a mom, so many things have changed. I still try to look presentable every time but it’s not my priority anymore. I guess marriage and motherhood have given me a different kind of perspective and confidence. I don’t want to be a hypocrite here but I still shop (a lot), I still care about fashion (not just much), I still care if the society will approve of what I wear or how I look (don’t we all?). 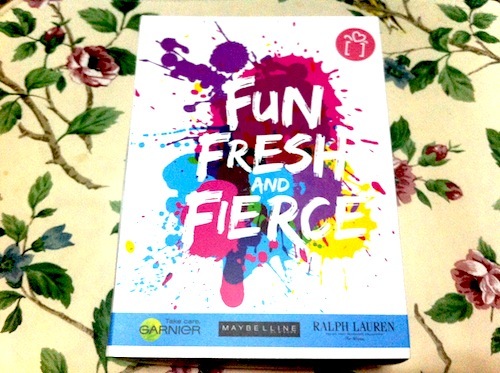 I have stopped buying fashion magazines because I tend to want so many stuff inside. I want this…I want that…I’m buying this…I’m buying that…and so on. I know myself so I stopped checking out the magazines. Occasionally, I buy ‘OK’ magazine whenever I like the cover. 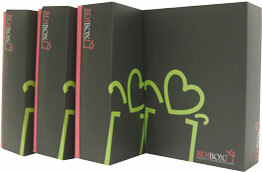 Sadly though, that magazine by Summit Publishing is on its last issue this December. I’m not ashamed to say that I have Nina Garcia’s books. And of course, there’s the Internet to keep me updated with the trends. There are so many fashion bloggers out there to follow. I have a lot of favorites. 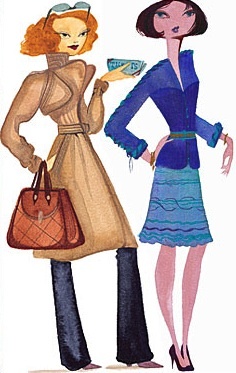 I am surprised as to how this trend in fashion blogging has started and continues to become popular. 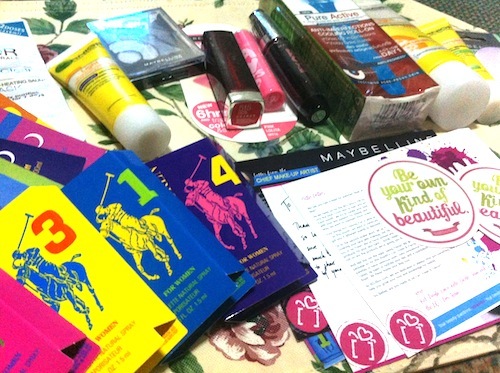 Believe it or not, I have a Chictopia account too. Yikes. What I find more fun to do is post the things and trends I like. I can never be a fashion blogger but I can share what I like. They’re not necessarily the most stylish according to the world of Anna Wintour or whoever top Filipino designer out there, they’re just my type–mine. I plan on writing some style-related posts in the future, of the things I read. Some things I think we could all learn from. I believe style is personal. You may still follow others but ultimately, you know what will work for you. That should be the attitude I guess when it comes to fashion. To look effortlessly chic and not be a fashion victim. So…what’s your style? How do you keep up with the trends? Do you even try to be fashionable? If you’re looking to buy vintage Polly Pocket playsets in the Philippines, this isn’t the place. I recently started this new collection which I hope to sell someday. I have about eight sets already and I wish to add more. 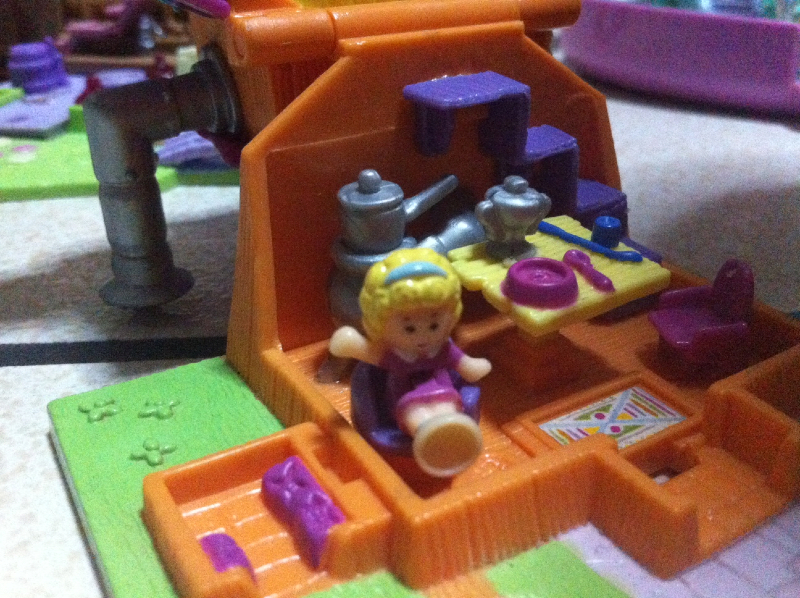 I never had a Polly Pocket when I was a kid because I remember it was expensive and fashionable then. 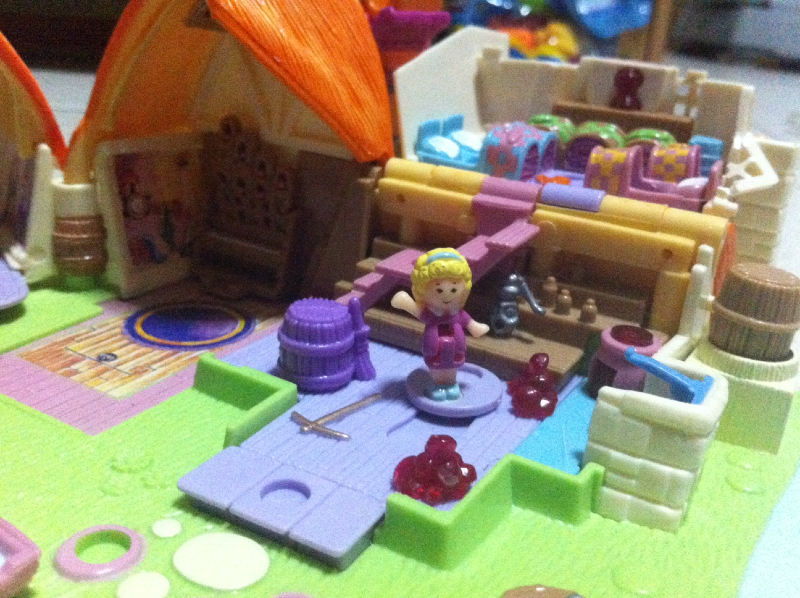 There’s a new version of Polly Pocket available in toy stores in Manila today but it’s bigger. 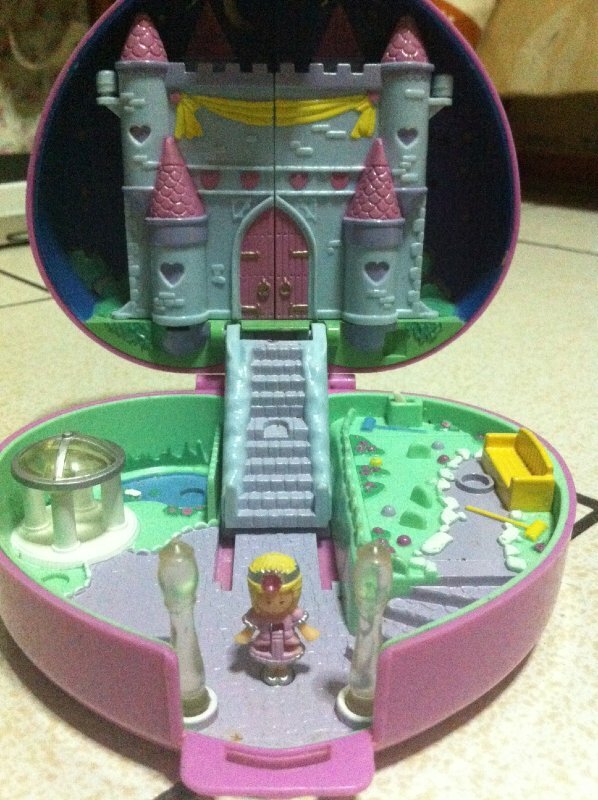 The reason why I started to search the Internet for such vintage Polly Pocket toys because I know someday they will be worth something. 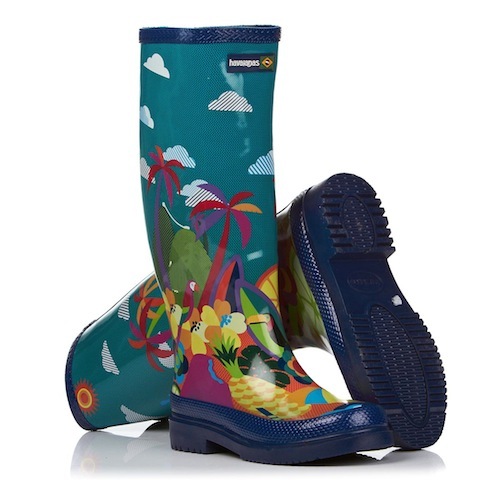 I’ve seen a few online already that are being sold at outrageous prices. But I’m such a great bargain hunter, I get mine at lower prices. They’re currently hidden away from my son’s reach so I’ll share more photos soon. How about you? 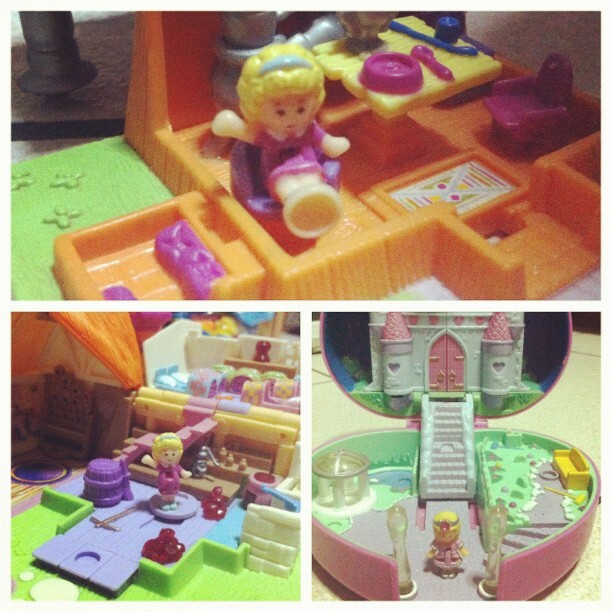 Did you have any Polly Pocket toy when you were a kid? One of the brands I super love is Cath Kidston. I fell in love with the vintagefeel and floral prints of the items. I learned about the company from Daphne. It was the first time I liked flower prints since I used to hate them. I guess I’m getting old. I used to cringe at the thought of flowery fabric and thought it was too girly. And then when I learned about Cath Kidston, I changed my mind. I couldn’t find Cath Kidston in Manila two years ago. 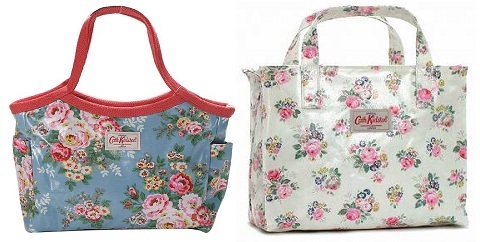 I searched eBay for Cath Kidston bags and bought these two. I use these two oil-cloth waterproof bags often because they’re very feminine and are waterproof. 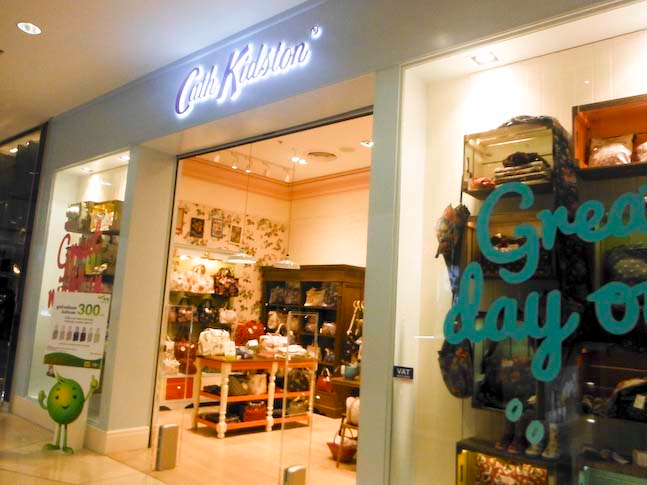 Imagine my excitement when my sister told me that Cath Kidston was opening in Bangkok, Thailand. Finally, a store I could actually visit someday. It opened earlier this year. Right now, there are three stores in Bangkok. 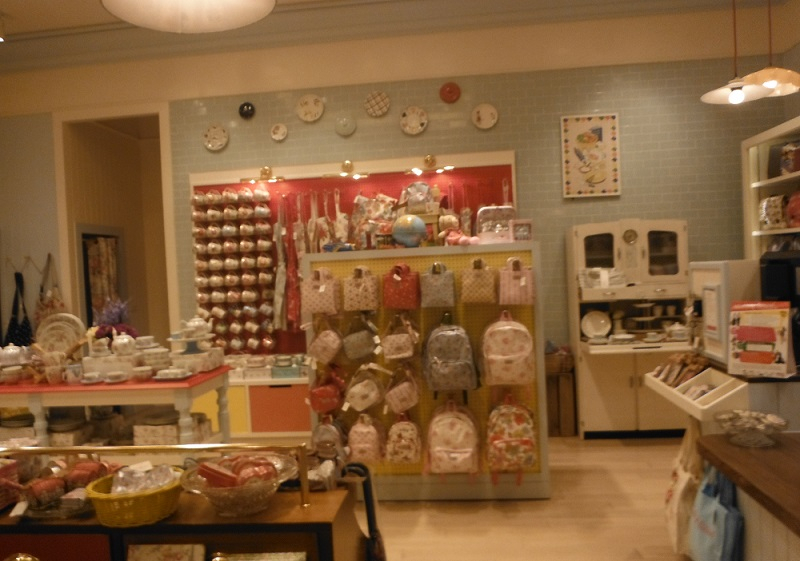 I happened to visit two: Cath Kidston Mega Bangna and a section in Siam Paragon Mall.